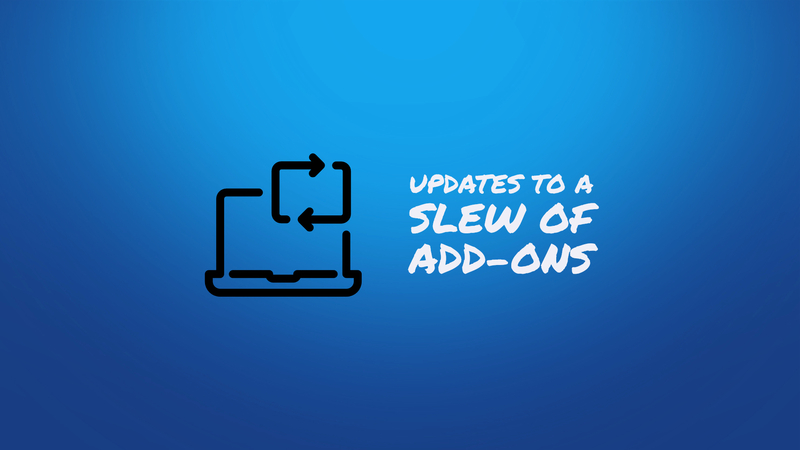 Sometimes, small things can make a huge difference so we try to make minor useful updates to as many add-ons as we can throughout the year. And, of course, we issue updates to address compatibility issues with new core Awesome Support releases and to fix bugs. Below are some of our smaller recent updates spanning the 2nd and 3rd quarter of 2018. These do not include our new add-ons and major feature releases - they really are generally minor updates. We added the ability to show the company name in the main ticket list in wp-admin. We also sorted the drop-down list of company names when selecting the company. And, of course since we're talking about the ticket list, we allow sorting and filtering tickets using the company name. We introduced some new phone number fields which in turn allows for SMS integration with Zapier and Twilio. We also added a few new filter hooks that developers can use to tie into the add-on. We added options to allow email notifications to be sent to agents who have participated in a ticket - even if they're not assigned to the ticket. We also added options to send email alerts to all users on a ticket regardless of if they've been assigned to the ticket - as long as they participated on the ticket in some way they can receive the alerts. This add-on had a slew of internal updates and tweaks. We tightened up our error handling and offered more control to the admin in handling unexpected conditions. Additionally we simplified some recursive processing for multi-part emails and added a couple of new options for logging errors. Some links in this add-on were simply not working. These include the settings and license links that you see under the plugin name in the WordPress plugins screen. For a while they've led nowhere but now they actually do something. Its not a big change but it is no longer a reason for a user to yell at us because they don't work! The issue list in the ticket needed a CSS update and we added additional text to explain the difference between comment types. We updated this one to make sure that updates to the status/state continued to work with the most recent releases of Awesome Support. We had to update this add-on to handle a new license status that EDD introduced in a recent update. We updated this one to use the new integrated REST API that was introduced in version 5.8 of Awesome Support. This one had a few internal developer related tweaks and a couple of compatibility fixes related to Awesome Support 5.8. FAQ, Custom FAQ, Documentation, Powerpack and Public Tickets were all updated so that they could be compatible with Awesome Support 5.8.